Businesses today are increasingly recognizing the power of online marketing and sales. As time passes, more and more companies engage in affiliate marketing as a way to boost their sales. At the same time, customers also seek to educate themselves about available products and wish to filter out useless information. Affiliate marketers should opt for a comprehensive solution to generate leads all the time, stabilizing their revenues as a result. We warmly recommend you to take heed of the warning and create your very first affiliate website. In this guide, we talk about the benefits of hosting a platform and how should one set it up. 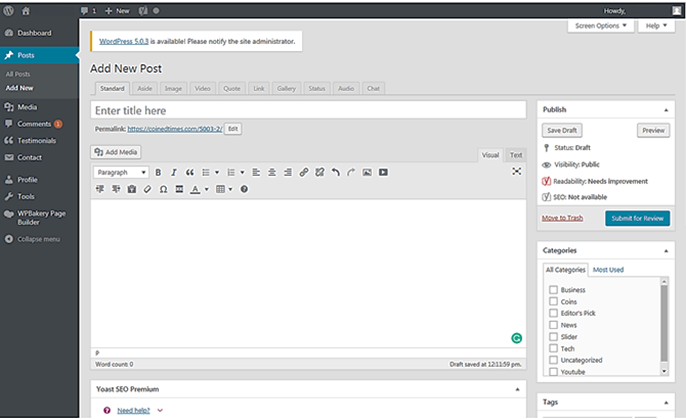 We offer WordPress as a solution for website creation and design. Thus, it is a given that small amount of investments is needed. There is numerous free website hosting platforms to choose but keep in mind that you will have limited design choices. Additionally, there a ton of guides out there that provide step-by-step account creation at WordPress. We, on the other hand, concentrate on the organization of your affiliate gig. 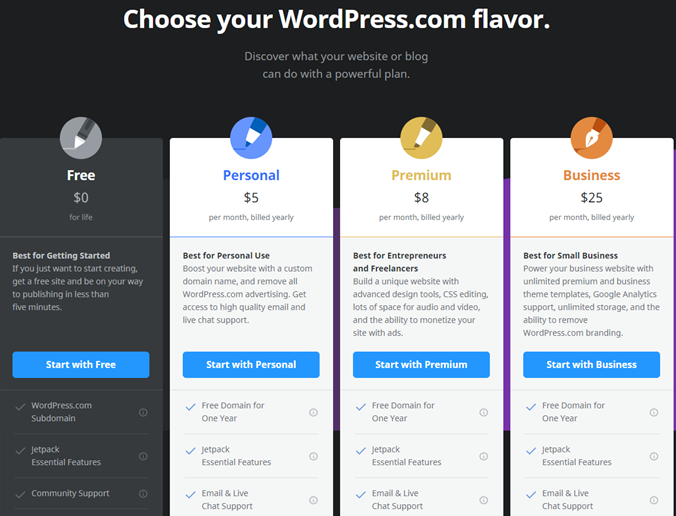 What makes WordPress an awesome platform to start is the availability of the free program. You can create content and fill out your space. Once done, you can then move towards paid programs. However, we do advise to choose once you have everything planned out. Once you are ready for a launch, it will be clear which plan suits you the most. Overall, the range of fees goes from $100 to $1.000 annually, depending on the chosen programs. 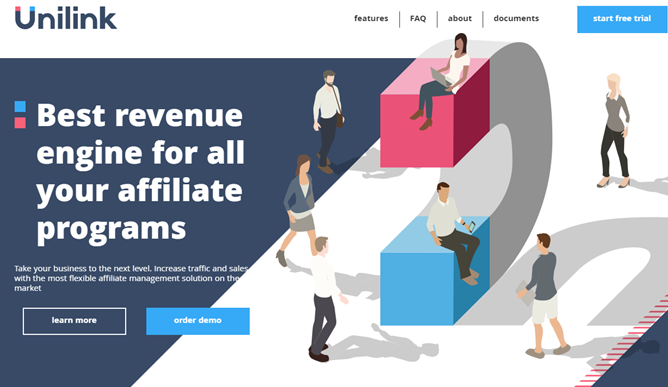 Apart from direct expenses for website construction, affiliate marketers should take into account off-site costs as well. If you do not have the knack for writing, some freelancers do so. They come with a price tag, however, which can drive your costs higher up. Social platforms provide promoted posts/statuses for a small fee as well, so make sure you include them in profit/loss analysis. The second step after the website platform is to determine the right market(s). This step requires quite a bit of time to conduct properly. Marketers need to figure out which industry is growing and provides adequate returns. Be it a trading sector or retail, and you have to create a list of companies with good affiliate marketing programs. Prepare excel and create your profit margins. There, you should put average revenue you can expect and deduct monthly costs you should incur. The more companies you can find that provide referral rewards, the more significant chance you have actually to earn a fortune. Check out our guide on how to make $50 to $100 per day and how to choose a good industry to compete in. 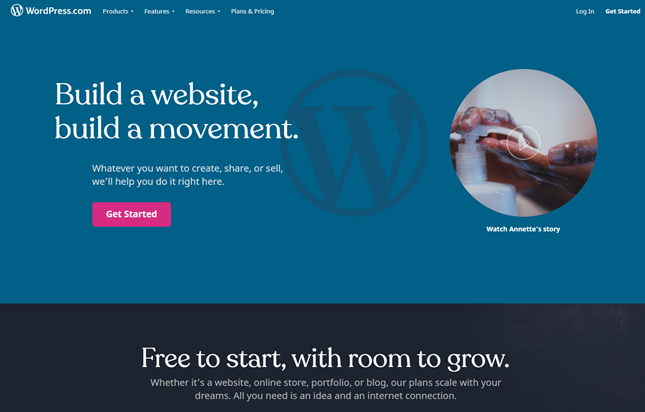 There are several things to think about when constructing your website with WordPress platform. Firstly, you need to choose your domain name and web hosting services. This is possible once you select your payment plan. First things first, we need to create attractive URL name for your gig. It will determine what kind of service you are providing as well as the industry you are in. Thus, we recommend you to spend time on coming up with unique and SEO-awesome title. Check out your competitors and see which has more success. The chances are that name is what attracts the audience as much as their content. 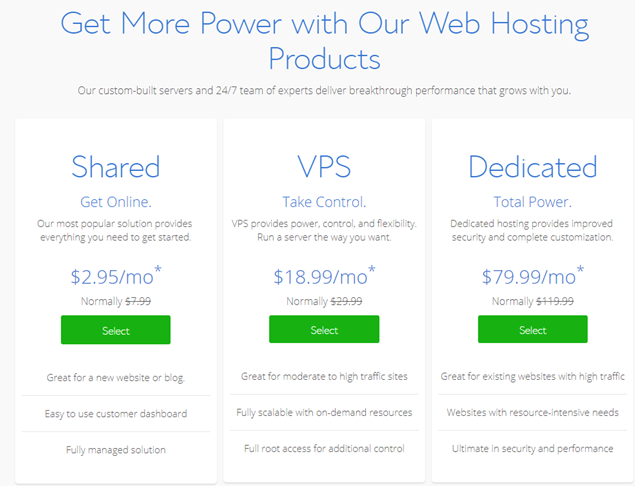 Web hosting is another set of apples to take care of and carries its costs as well. To publish your content, you need a server to operate in. In other words, it is a space on the internet that you rent for the duration of the plan. 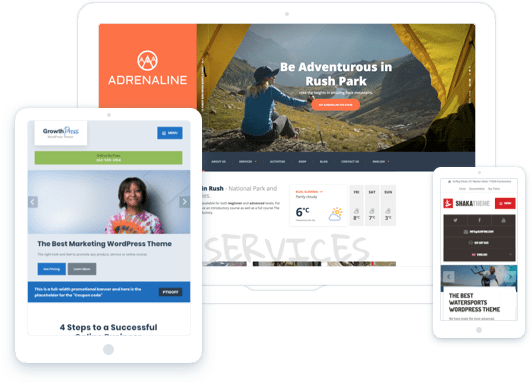 We can recommend using Bluehost as a hosting provider, as it has a tight connection with WordPress. Choose a plan that suits your needs, as seen in the picture below. Now, we reached a crucial part of your affiliate marketing website. To ensure stable traffic and revenue stream, you need to organize your pages to keep your content fresh and visible. Looking at the picture from above, you can either choose an already-set theme or customize your look. We would recommend the later since innovation is a crucial part of a website’s success. You can create additional pages as you see fit. However, it is essential to understand that blog articles are only part of the program. Choose an attractive design or make it yourself. Next in line are SEO tools available at WordPress. Let’s be honest here. Although the fancy design is important, your content is doubly so. Often, customers would type keywords on Google and open up top pages according to the SEO strength articles have. Thus, writing SEO-friendly content is of utmost importance. In WordPress, tools like Yoast keyword strength and Readability should be your guideline towards excellent pages. Generally speaking, sentences should not pass 20 words while paragraphs should have a limit of 75 words. Use transitional terms and keep it simple. Additionally, you need a high Flesch Reading Ease rating, to make it readable for customers, regardless of their background. Use keywords as much as possible but do not break the flow of your writing by cramming in terms. Connect your other pages through internal linking and keep going until you get your content to be completely SEO-friendly. The better job you do here, the greater chance your website will appear in first ten results within the Google search engine. Content should reflect real value for readers. The empty word can only be precisely that – jumbled mash of terms and phrases. You need to provide information that is hard to get and reflect the real situation in the industry. Additionally, articles should also be flawless regarding grammar and yet easy enough to read. Additionally, merely copying from competitors will not gain you any favors from your target audience. Information should be fresh, relevant and transparent. Thus, massive investigation of the industry you are competing in is a crucial factor for success. Thus, we generally believe that blogs, articles, eBooks, and other media should be done before the website’s launch. In that way, you control the content and can rephrase/rewrite as much as need until you achieve top quality articles. Google Analytics has an abundance of data analysis metrics that can come useful. Activate it to gain insights on what pages are popular, where do your readers come from and how many desirable actions were taken. It also provides investigation per daily, hourly, and monthly basis, giving you benchmarking tools a swell. There are also other platforms that can come in handy. 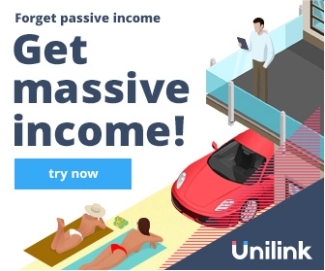 Unilink.io is one of them, where profit calculations, as well as statistical analysis, are at your disposal. For a fee, you can have all of your data in one place. Lastly, revenue channels can be separated to provide accurate information about your success. Affiliate marketing is all about companies that you wish to promote. These offer referral programs that award marketers for the generation of new customers. Through sales’ percentage, you can earn quite a bit on a daily basis, building a fortune through passive income. However, it is important to choose reputable companies and those that provide good deals. 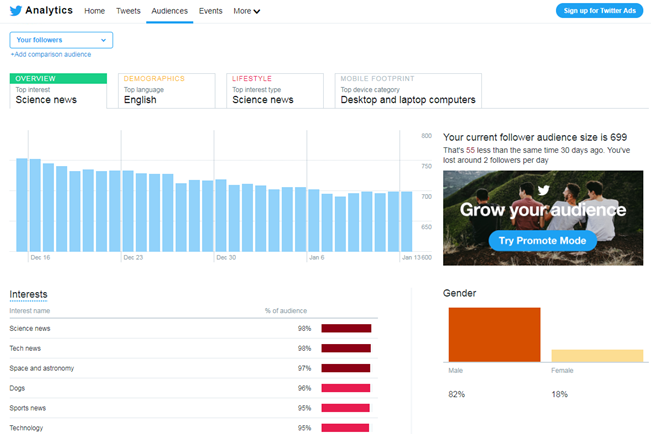 Check out their percentages for generated leads. Be sure to avoid scams, as many new “organizations” promise huge returns without keeping the word. If it seems too good to be true – it most probably is. Working for a specific industry, strive to understand it well. In some sectors, profit margins are low due to large administrative expenses. Thus, 50% of sales for marketers may not exactly sound like a healthy business model. Apart from blogs, news, eBooks, email responders, social media, and email campaigns can come in quite handy. Link them with your website and provide icons as links to your profiles outside of your affiliate site. Facebook, YouTube, LinkedIn, and many other platforms are powerful tools to find and generate customer leads. Each of these provides their analytics and metrics. You can cross-reference analysis from there with Google Analytics/Unilink, to gain a better understanding of how your audience behaves. Email campaigns are also an excellent channel to establish. Everyone uses an email, no matter if it is Hotmail, Yahoo, or Gmail. It is crucial to choose real ones, as many bot addresses exist today for various reasons. As you can see, building your website is not a walk in the park. However, do not let it discourage you from creating your very own space on the internet. Rewards are large enough to consider the idea. It is essential to prepare before the launch. We generally believe that content should be ready before the start. The empty website usually provides very little value. Investigate your market correctly, create SEO-friendly yet valuable content, and you will see your audience grow over time. Keep in mind that seasonality might affect your earnings. Keep an eye on analytics to identify trends so you can react before they even occur.